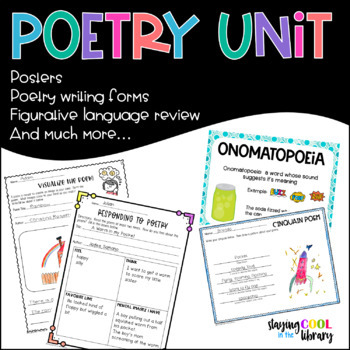 This poetry unit pack will have your students writing and enjoying poetry in no time! 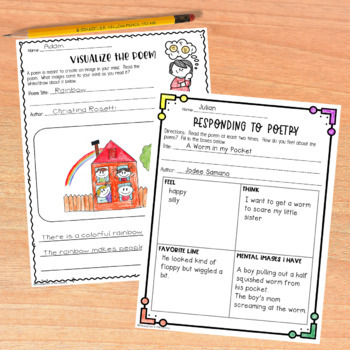 It is packed with over 70 pages of posters, graphic organizers and writing activities. 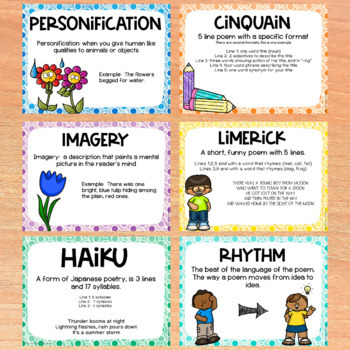 Students will learn different poetry forms as well as review figurative language. Please download the preview before purchasing. 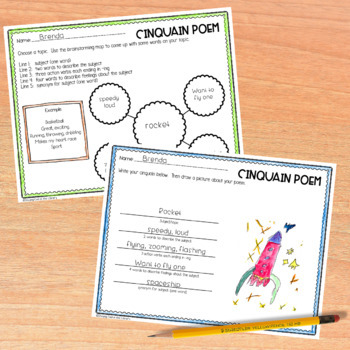 It shows many of the posters and worksheets, but not every page.